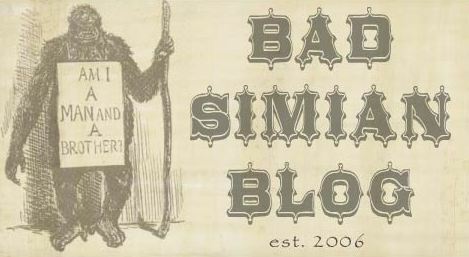 BAD SIMIAN BLOG: THIS GUY IS SO WRONG! THIS GUY IS SO WRONG! I'll be finishing up my Civil War run down sometime this week... I promise. But until then, take a look at this crazy review of Fantastic Four # 542. "I hope that Editor Tom Brevoort and Editor-in-Chief Joe Quesada [also] shed a tear. Well they must have, because the Fantastic Four title is pretty much down the drain. This is one of the worst issues of our four heroes I have ever read. Even the Heroes Reborn event wasn’t as bad as Fantastic Four has become." This guy's off his rocker. Hah. That's one of the reasons I don't visit SBC anymore. Some of the reviewers are kind of outrageous.